Hampstead Heath runs between Hampstead and Highgate, bordering Kenwood House’s estate on three sides, so that you can easily visit both in one trip. 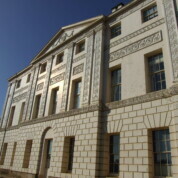 We started by exploring the House, a richly furnished eighteenth century villa set in attractive gardens, bequeathed to the nation in the 1920s by Edward Cecil Guinness (of brewing fame) and housing a collection of art by masters such as Rembrandt, Gainsborough, Turner, Reynolds and Vermeer. Kenwood House is definitely worth a visit, particularly its impressive library – the only downside for visitors with babies is that pushchairs are not permitted inside, so it’s advisable to take a carrier/sling with you if, like me, your baby is becoming increasingly heavy to carry around. 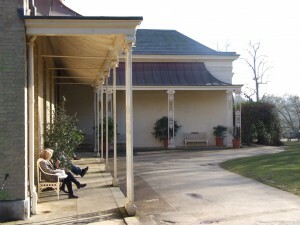 Note that Kenwood House is due to close on 1 April 2012 for an eighteen month period of restoration works – if you fancy a visit, go now before work commences! After a restorative cup of coffee at Kenwood’s “Brew House” café, we set off for a walk on Hampstead Heath, taking in the impressive views of central London. The Heath and its extensions have everything you could need for a family day out: woods, ponds, formal gardens, a free zoo, cafés, playgrounds and sporting facilities – we didn’t manage to see everything this time, but will be returning to explore what we missed. A pleasant family day out. The interior of Kenwood House and its art collection may be more appealing to adults than babies, but everyone will enjoy exploring the grounds and the adjacent Heath. 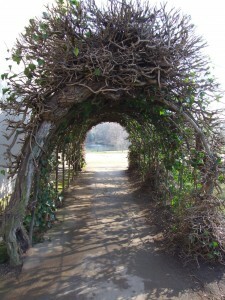 Admission to Kenwood House, its grounds and Hampstead Heath (including its zoo) are free. There are baby changing facilities at Kenwood House and high chairs are available in its Brew House café. The popular Brew House café in the Kenwood estate provides meals, snacks, cakes and hot and cold beverages. There is indoor and outdoor seating. Highchairs are available. In addition, there are two cafés on Hampstead Heath. Kenwood House is open from Monday to Sunday – 11.30 am to 4 pm. The House will close from 1 April for 18 months for refurbishment. The grounds and café will remain open during this time.